"I had given up all hope of being saved but now I am beginning to take heart again. I really must hear this man of God." So one day he went to hear one of Saint Dominic's sermons. When the latter caught sight of him he struck out against sin more zealously than ever before, and from the depths of his heart he besought Almighty God to enlighten his cousin and to let him see what a deplorable state his soul was in. At first Don Perez was somewhat alarmed, but he still did not resolve to change his ways. He came once more to hear Saint Dominic preach and his cousin, realizing that a heart as hard as his could only be moved by something quite out of the ordinary, cried out with a loud voice: "Oh Lord Jesus, grant that this whole congregation may actually see the state of the man who has just come into Your House." Then everybody suddenly saw that Don Perez was completely surrounded by a band of devils in the form of hideous beasts who were holding him in great iron chains. People fled hither and thither in abject terror and Don Perez himself was even more appalled than they when he saw how everyone shunned him. 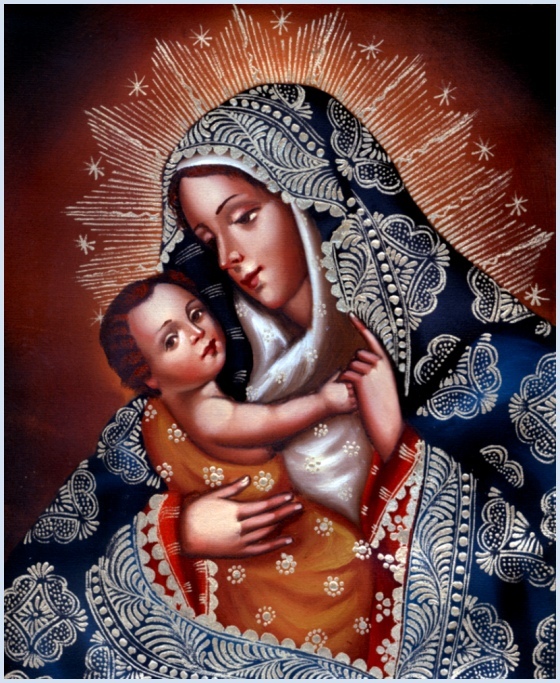 Saint Dominic told them all to stand still and said to his cousin: "Unhappy man that you are, acknowledge the deplorable state you are in and throw yourself at Our Lady's feet. Take this Rosary; say it with devotion and with true sorrow for all your sins, and make a firm resolution to amend your life." So Don Perez knelt down and said the whole Rosary; he then felt the need of making his confession and did so with heart-felt contrition. Saint Dominic ordered him to say the Rosary every day; he promised to do so and he entered his name on the Rosary Confraternity list in his own hand. When he left the Church his face was no longer horrible to behold but had a glow like that of an Angel's. Thereafter he persevered in devotion to the Holy Rosary, led a well-ordered Christian life and died a happy death.